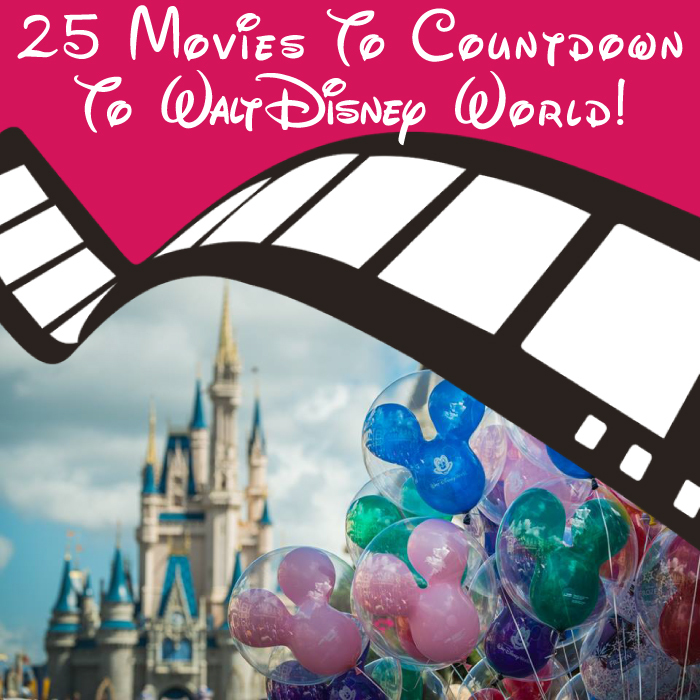 If you’re planning on going to WDW soon, and are looking for a unique countdown, try this movie challenge! Whether your family needs to get caught up on the classics or you want to rediscover old favorites, here’s a list of the top movies to watch as you countdown to Disney! There are 25 films on this list, which should be just perfect to get you from that 180 day/Advanced Dining Reservations mark to your departure date if you have a family movie night once a week! 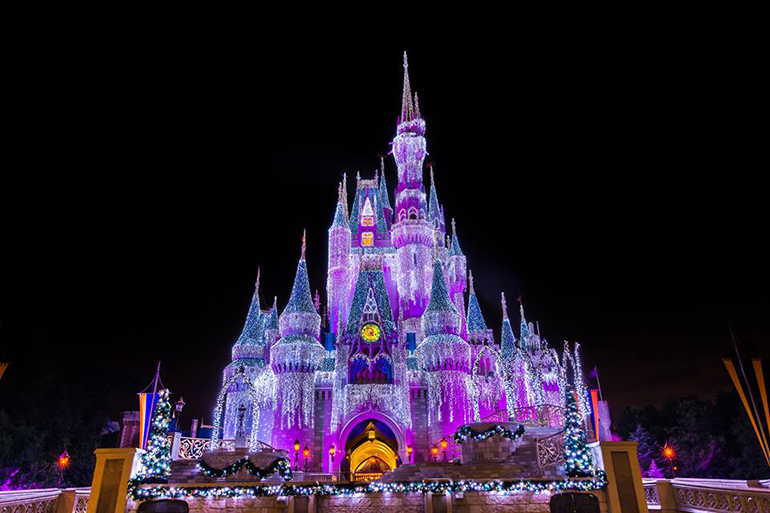 Cinderella – this is an absolute classic, and since Cindy’s Castle is the park icon for Magic Kingdom, it’s a must-do. 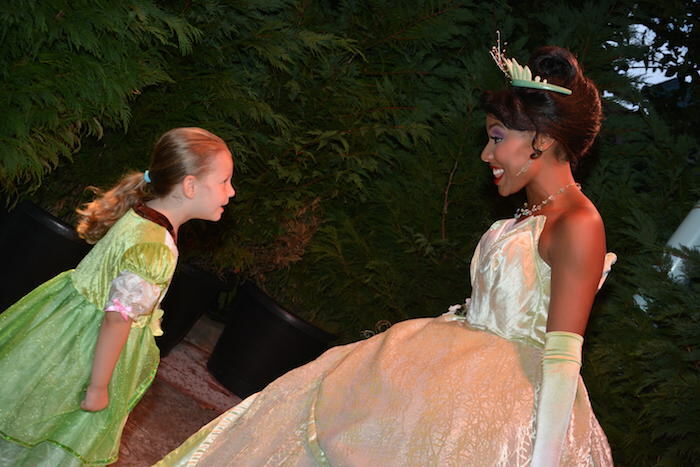 You can meet Cinderella at Princess Fairy Tale hall and at character dining experiences at Cinderella’s Royal Table or 1900 Park Fare’s dinner service. Toy Story (1, 2, or 3) – The Toy Story franchise is super popular at WDW – there are meet and greets with Buzz and Woody, 2 rides (Buzz Lightyear’s Space Ranger Spin and Toy Story Midway Mania) and coming soon, a whole new Toy Story Land! Watch one movie or watch them all! Dumbo – Storybook Circus is a Dumbo inspired area within Fantasyland at Magic Kingdom, which includes a Casey Jr. Splash and Soak area and the quintessential Disney attraction – Dumbo the Flying Elephant. It’s also rumored to have been Walt Disney’s personal favorite film. The Little Mermaid – over 27 years later and this is still a fan favorite movie – everyone loves a mermaid! You can see Ariel in Festival of Fantasy, Fantasmic, Mickey’s Philharmagic, Voyage of the Little Mermaid, and Under the Sea: Journey of the Little Mermaid. You can meet her in her Grotto or dine with her at Akershus. If you’re dying to go under the sea – stay in a Little Mermaid room at the Art of Animation Resort! Beauty and the Beast – this 1991 powerhouse has inspired a Broadway musical, a new film debuting in 2017, and the Belle’s village area of Fantasyland! 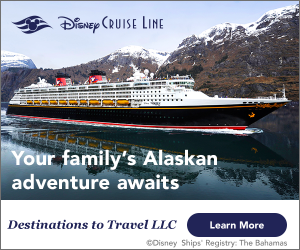 See enchanted Tales with Belle, dine at Be Our Guest or Gaston’s Tavern, see Belle in Fantasmic or Lumiere and friends in Mickey’s Philharmagic, and meet Belle in Epcot’s France Pavillion or Akershus restaurant. Plus, check out Beauty and the Beast: Live On Stage at Disney’s Hollywood Studios! 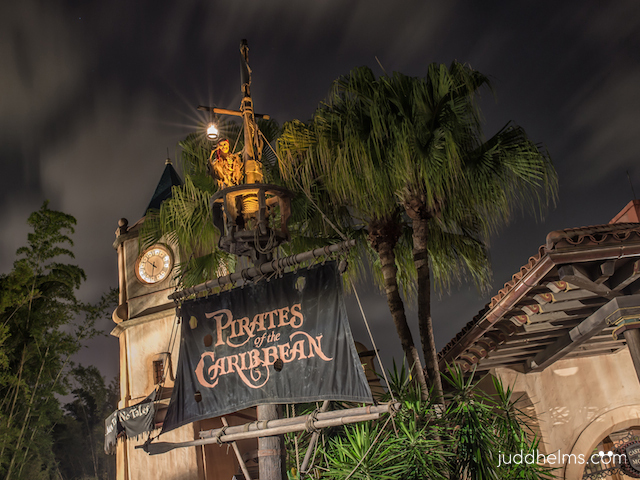 Pirates of the Caribbean – Disney’s not all about princesses, you know! The Johnny Depp movies based on the adventures of Captain Jack Sparrow were inspired by the Magic Kingdom attraction, and now elements from the movies have been brought to the ride! Plus, there’s Captain Jack’s Pirate Tutorial in Adventureland. There are several Pirates films to choose from – pick your favorite (mine is the original). And if you love swabbin’ the deck, choose a pirate room at Disney’s Caribbean Beach Resort. Finding Nemo or Finding Dory – These Pixar films have inspired Turtle Talk with Crush, The Seas with Nemo and Friends, and Finding Nemo: The Musical. Watch one or both to get excited about everyone’s favorite clownfish and his friends! Want to take a dip in the Big Blue Pool? Stay in a Finding Nemo Suite at the Art of Animation Resort! The Lion King – Everyone knows about the circle of life, but did you know that Festival of the Lion king at Animal Kingdom is one of the most popular shows at WDW? Plus you can learn about recycling and sustainability in The Circle of Life: An Environmental Tale at Epcot. Simba has a number in Mickey’s Philharmagic, and Timon and Pumba also appear in environmental and safety warnings throughout the resort! And if you just can’t wait to be king, book a Lion King Suite at the Art of Animation Resort. Snow White and the Seven Dwarfs – this is the original full length animated classic that started it all. It’s also the inspiration for the beautiful family coaster, Seven Dwarfs Mine Train! 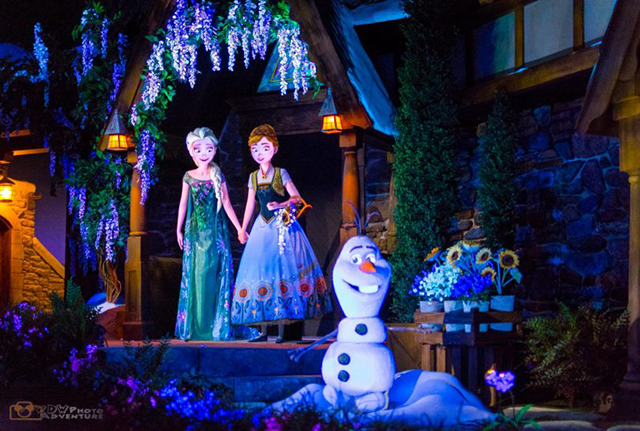 And you can meet Snow White herself in Epcot’s Germany pavilion! The Many Adventures of Winnie the Pooh – an oldie but a goodie. Pooh makes everyone feel great, it’s no wonder he’s so beloved. Meet him at Crystal Palace, Pooh’s Thotful Spot, or Epcot’s UK Pavilion. And make sure you ride The Many Adventures of Winnie the Pooh at Magic Kingdom! PS: the ride also has a fun play area for little ones. The Incredibles – if your kids like to dance all night, or you’re looking for something to tucker them out, then the #IncrediblesSuperDanceParty in Tomorrowland is for you! It’s a lot more fun if you’ve seen the movie! The Muppets – their latest show may have been cancelled, but MuppetVision 3D is still going strong! Watch any of their movies from the past few decades to get that rainbow connection. A Bug’s Life – Flik and Atta meet at Disney’s Animal Kingdom, where Flik also stars in It’s Tough to be a Bug – a show that’s fun and funny, especially if you’ve seen the movie (otherwise it’s a little scary for young kids – and adults afraid of bugs!). Alice in Wonderland – this trippy classic will made you feel like you’ve just ridden the teacups! Just kidding – but it’s lots of fun to watch especially if you’re planning to ride the Mad Tea Party, dine at 1900 Park fare to meet Alice and the Mad Hatter, or to visit Alice in Epcot’s UK Pavilion! Cars (or Cars 2) – while Carsland in California’s Disneyland is a hit, it doesn’t have a counterpart in WDW. 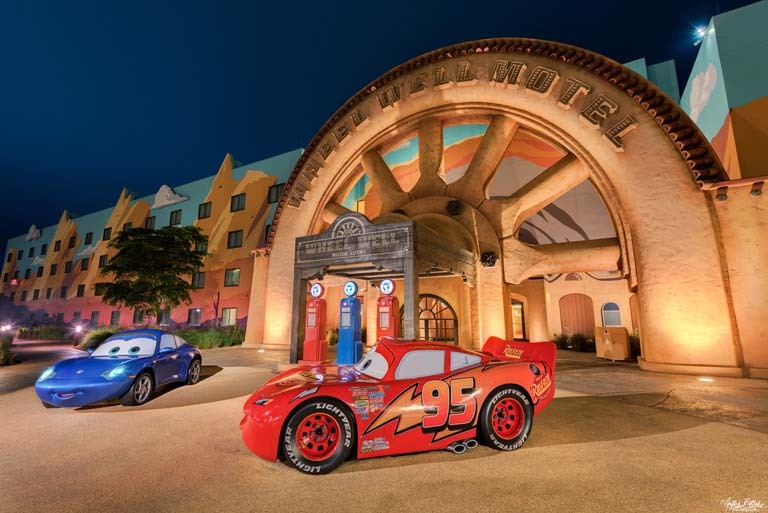 But you can stay in a sweet Cars suite at Disney’s Art of Animation Resort – complete with Cozy Cone Cabanas! Peter Pan – take off to Neverland on Peter Pan’s Flight, spot the whole gang in Mickey’s Philharmagic, meet Peter and Tink in Magic Kingdom, and see Peter, Wendy, Tink, Hook, and the Croc in Festival of Fantasy! Monster’s Inc. (or Monster’s University) – Mike and Sully are at it again with a hilarious show in Tomorrowland – Monster’s Inc. Laugh Floor. Watching the film will get you into the spirit of Monstropolis! Aladdin – Meet Aladdin and Jamine in Adventureland (Jasmine also appear’s in Epcot’s Morocco pavilion and at Cinderella’s Royal Table), spot them in Mickey’s Philharmagic, and ride Aladdn’s Magic Carpets! Plus, you can fly your own virtual reality rug in Magic Carpets of Agrabah at Disney Quest! The Force Awakens – …this is part two in your education on a galaxy far, far away. The newest instalment in Star War’s episodic films (spin offs like Rogue One don’t count here) is pretty important to Disney these days. In fact, the whole franchise is, and the Force will only get stronger at Disney when Star Wars Land opens. 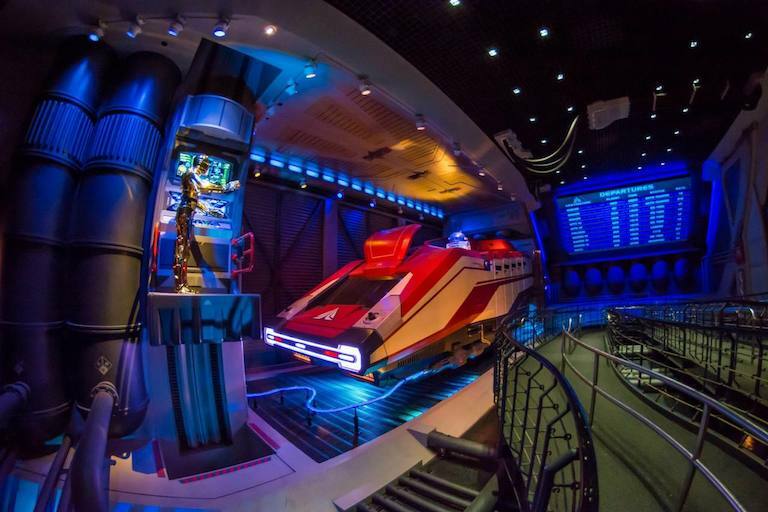 For now, you can experience Star Tours: The Adventures Continue, Jedi Training Academy: Trials of the Temple, Star Wars Launch Bay (cool exhibits and the chance to meet Chewbacca, Kylo Ren, and Jawas), Path of the Jedi, A Galaxy Far Far Away, and Star Wars: A Galactic Spectacular… all at Disney’s Hollywood Studios! Up – Fans of Up will remember Russell’s favorite activity – being a Wilderness Explorer! You can be one too, and take part in a scavenger hunt all over Animal Kingdom! Plus, you’ll have the change to meet Dug and Russell. Mickey Mouse Shorts – Did you know that everyone’s favorite mouse doesn’t have a full length film to call his own? No worries, you can watch some shorts right here! You’ll find character greetings, shows, parade floats, musical elements, or decor that is influenced by these films and TV shows too – even if they didn’t make the cut to be on our top 25 “must watch” list: The Princess and the Frog, Tangled, Brave, Indiana Jones, Tarzan, Pocahontas, Pinocchio, Fantasia, Sleeping Beauty, Hercules, Mulan, The Three Caballeros, Big Hero 6, Inside Out Elena of Avalor, Sophia the First, Doc McStuffins, and Jake and the Neverland Pirates. When PANDORA: World of Avatar opens at Disney’s Animal Kingdom, Avatar (and possibly its future sequels) will become required watching! Head on over to our Facebook page and let us know how your movie countdown is coming along!